Researchers at Duke University recently made a groundbreaking contribution to the life sciences research field: The Duke researchers found that using certain bone grafting material for spinal fusion only sometimes increases the risk for benign tumors, and it does not increase the risk for cancer. Benign tumors were more common in patients who received the bone promoter recombinant human bone morphogenetic protein 2, also known as BMP. According to a Duke University news article, the study was reported in the print edition of the journal Neurosurgery this September and received support from the National Cancer Institute. “We believe this study is the first to specifically investigate the association between the use of BMP and cancer risk in a systematic manner, and apply it to the general population of patients undergoing spinal fusion in the United States,” Dr. Lad said. Lab suppliers interested in learning more about Duke University life sciences research and who want to meet researchers at Duke life science marketing events may also be interested to know that Duke is a very well-funded market. Duke University received $355.6 million from the NIH in 2012. The best funded department was internal medicine, which received 175 awards totaling $102.1 million. For a full list of life science departments receiving NIH funding, please visit the NIH website. In addition to receiving a great deal of funding from the NIH, Duke University also received $46 million from the NSF in 2012. The funding was given out to various projects in life sciences research fields. Some of the programs of study receiving funding included physiology and structural systems, evolutionary processes, systematics and biodiversity science, neural systems, genetic mechanisms, bio informatics, population and community ecology, cellular dynamics and function, macrosystem biology, developmental systems, evolutionary processes, and ecosystem science. Given the groundbreaking life sciences research being conducted at Duke University along with recent NIH and NSF funding statistics, lab suppliers may want to consider exhibiting at Duke University life science marketing events to meet researchers and sell lab equipment. If you are a lab supplier interested in networking with others in your field at Duke University, Biotechnology Calendar, Inc. invites you to attend our annual Duke BioResearch Product Faire™ Event. Last year, the Duke BioResearch Product Faire™ Event attracted 228 attendees. Of those who came, 72 were purchasing agents, professors and post docs, and 35 were lab managers. The attendees came from 21 research buildings and 41 departments across campus. 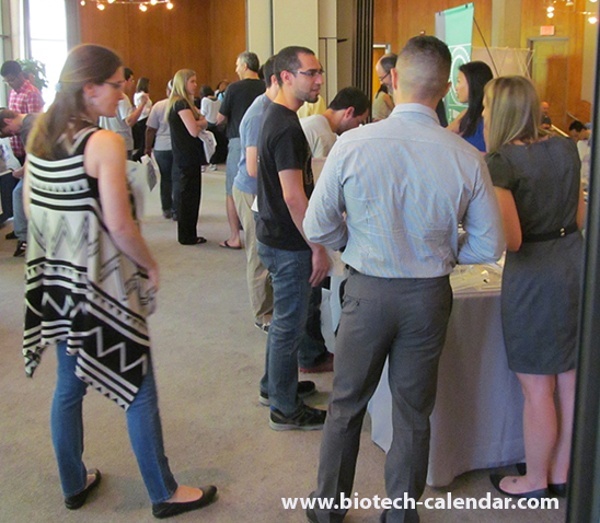 Biotechnology Calendar, Inc. is a full-service science research marketing and events-planning company that has been organizing life science marketing events at top research universities across the country for 20 years. If you are interested in learning about the Duke University life sciences research market or exhibiting at life science marketing events where you can meet researchers, we encourage you to view our 2013 calendar of events. For more detailed funding statistics on Duke University, or to learn more about the Duke BioResearch Product Faire™ Event, click on the button below.